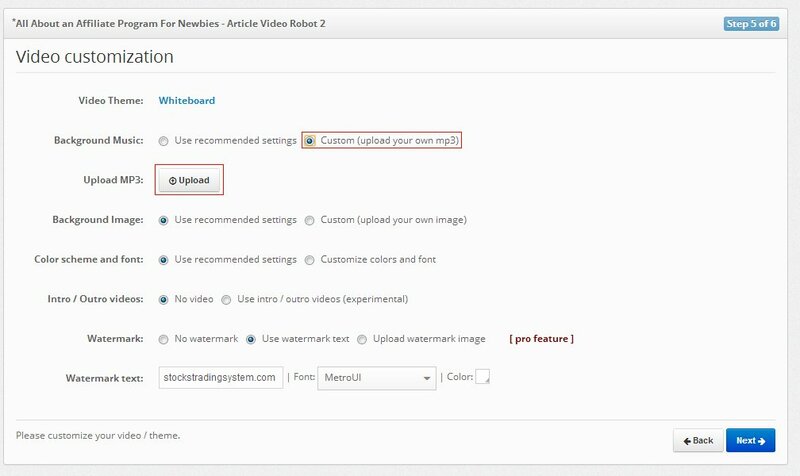 You can customize the look and feel of your video from the Video customization screen. Most of the settings are by default set to recommended settings. If you need to customize the background music of your video you can select the "Custom" option for your background music and upload your own MP3. Similarly you can upload your own background Image for the video as well. Please make sure that your background Image is at least 854*480 pixels in size. You can also customize the color of headline and text items (applicable for both sub-headings and bullet items) as well as the font of your video from this screen. 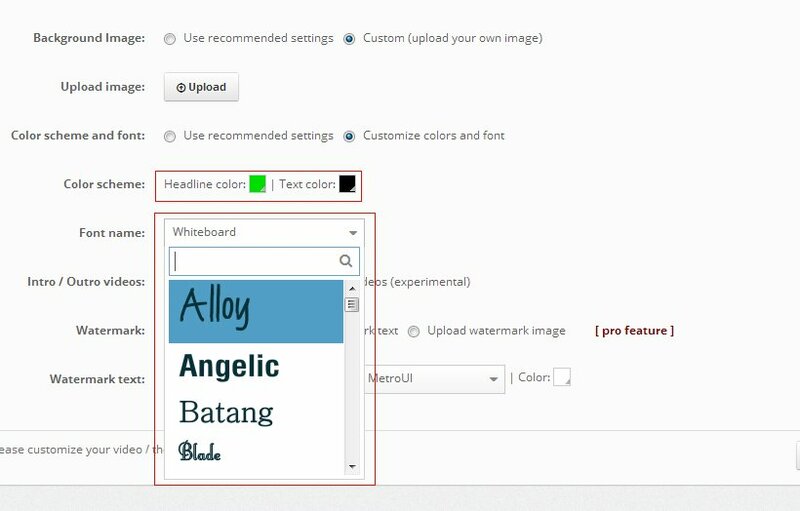 From the font drop-down you can get an instant preview of how this font will look in the final video.